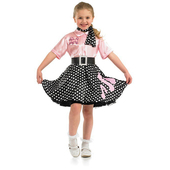 Kids Rock 'n' Roller Girl Costume includes a dress with a top top and a black and white polka dot skirt with poodle print. 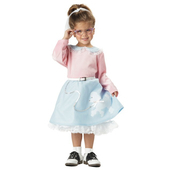 Costume also includes a belt. 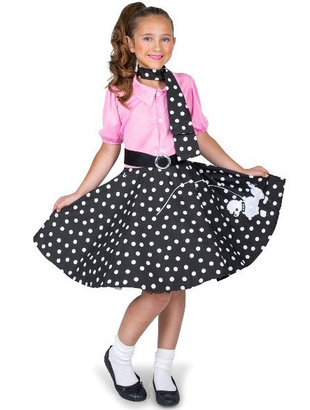 To complete the look a black and white polka dot scarf is also included.